I want to thank you and your staff, in particular Ken Murfitt, for the sympathetic and professional manner in which our claim has been conducted by Admiral. The whole affair was somewhat complicated, and followed shortly after we had completed a circumnavigation, so we were especially pleased with the straightforward way that Admiral handled everything. We’ve been insured with Admiral for seven years and this was the first claim that we have had so it was very reassuring. Very many thanks. 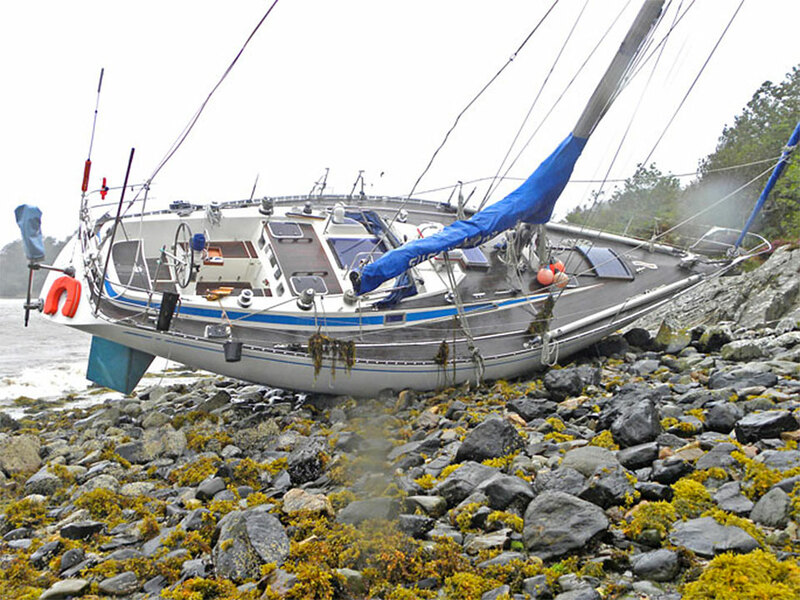 The yacht had broken adrift from her usual swinging mooring on the west coast of Scotland at Loch Craighish in the high winds of Hurricane Katia and had beached. A surveyor, located only half an hour away, was sent to the scene on the same day but due to a very high tide it was difficult to assess the damage. The following day he was able to assess that the yacht had been holed and flooded.